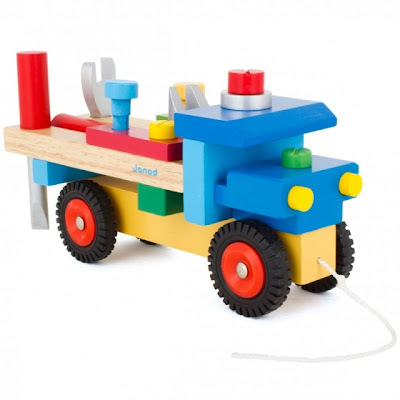 Toys As Tools Educational Toy Reviews: NEWS: Retailers Like Our Thoughtful Toy and Gadget Reviews! If you are ever in a toy store in New York City and some strange woman starts talking to you about why that toy that you have in your hand is a huge winner, it just might be me. I love being as close to the consumer as possible when they are about to make a purchase. It can be a moment of mixed feelings including depression, confusion, hope, frustration, and even elation (think 50% off on something you said you could never buy...). You may have even dialed a friend or went online right as you're walking around the store to see if anyone else in cyberspace gave that toy a thumbs up. 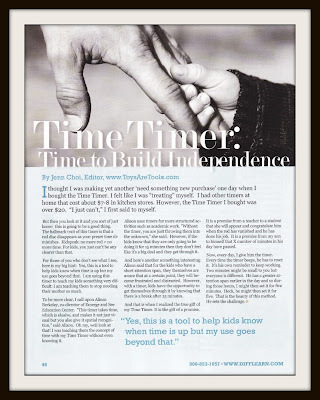 The Toys are Tools' Time Timer Review can be found on page 46. Click here to browse the full catalog online. Different Roads to Learning, an amazing retailer who definitely views toys as tools wants to be helpful to their consumers. They published one of my reviews, taking up an entire page. Ask yourself, when is the last time you read an actual review in a flip-it-with-your-fingertips-real-live-catalog!?!? With the publication of this review along with 6 other feature articles in this catalog, I feel like it is the equivalent of putting back the nearly-extinct salesperson back on the floor to help customers. The publication of such articles is a tremendous investment on the part of a retailer to support their customers this way. www.difflearn.com, I salute you! With this kind of help, I believe shopping can be accomplished more confidently. Tip: Go to www.difflearn.com and request a free catalog. If you gift the timer to a teacher or a friend, include a copy of this review to show them some the great ways their Time Timer can be used. Raising Astoria is awesome because so many of their toys can be played with before buying it. I love that. "..... I recently met a wonderful and amazing woman, Jenn Choi, who runs a blog entitled “Toys are Tools” (toysaretools.com). I highly recommend “Toys are Tools,” especially if you are interested in using play as an integral part of your child’s development and education (which I definitely am!!) Jenn breaks down the primary functions of each toy into various categories, depending on what kinds of knowledge the toy encourages/stimulates (e.g. “Think Like a Scientist,” “My Body Needs to Move,” “Foments Love of Language,” etc). If you read Jenn’s blog, you will begin to develop an awareness of the ways you can interact with your child through play, and ways to select toys that will best encourage the knowledge and values you want your child to explore! I implore you to check it out!..." Laurie Nicholson introduced her store's new product offering on her blog by using Toys are Tools' Toolbox Compartments to delve into the benefits of this cutesy truck. I had no idea our toolbox could travel to another site but that is exactly what it did! THANK YOU READERS of Toys are Tools!!!!! 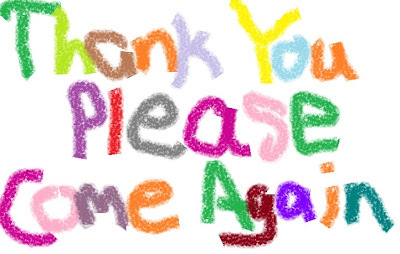 I especially want to thank those who have filled out my informal survey. I have already started working on your suggestions! Anyone is welcome to write a comment below. Leave Links Too!! Tell us if you think toys are tools too! It doesn't matter if you are a kid, a retailer, a parent, a teacher, a child development specialist, a blogger, a grandparent, toy company PR maven,..... All of your opinions matter here! I know my readers are thoughtful. How else would you have the brain stamina to read the longest deepest toy reviews that one could possibly ever read? They'll get shorter, I promise! Sorry to the folks that actually liked them long but even my mother says that I talk too much! Way to go Jenn! I'm glad that your tips are not only confined online, but that you've surprised actual shoppers with tips on the field! I wouldn't mind getting some tips from you when I'm out shopping! Awesome Jenn! I'm glad people are noticing what a great blog you have! Thank you! It's so great to have your support! I wonder if people think I'm crazy when I start giving unsolicited advice. My son starts helping too. We must appear to be very strange. But we all have to help each other out. In so many stores, the most helpful attribute is the price scanner (if it works). Wonderful to hear retailers as well as shoppers are realizing just how valuable your reviews are, Jenn! Keep up the good work! So glad you are getting well-deserved recognition. Toys ARE tools -- fun tools -- and you offer such great perspective on it. Jenn has inspired me to go beyond "how much use will it get?" to "what can it do for my child at various levels"? It's hard for me to read articles of much depth (i am a scanner) but she has put the highlights at the top and (thank you, Jenn!) includes a video of a child actually playing with it (so different from a commercial). Truthfully, I tend to read amazon reviews mostly to understand the quality of construction. People will post if the toy breaks quickly. (Then again, some people post a positive review after a few days, and in my opinion, there needs to be more time to observe whether the toy is a keeper). I vlaue listmania too. If someone takes the time to make a list, they've found a keeper too. Often times, I'll buy a toy my son will like at someone elses house, to find it's a dud! I'm learning more about how my child thinks now that i am reading toys are tools... and the duds are rarer. Your site is so great about bringing awareness to all the wonderful toys out there that can actually help our kids with skills. Things you wouldn't even think about. Glad that you got the great press! a review of some great toy that I haven't heard about yet can pop up on my facebook page (underwater mazes anyone?). I really appreciate Jenn's reviews. First, I hadn't really thought about toys as tools--my daughter is 8 and I had forgotten this. When she was a toddler, I made a conscious effort to buy educational toys, but when she started school, that fell to the wayside. So, when I found out about this site, i was really pleased to find a place where I could get reliable toy reviews. I want learning to be fun, and what better way than through toys and games?!? I can't think of another site where the reviews break down how the toy promotes learning. I like that there are links to purchase the toy being reviewed. I buy almost everything online and I don't remember the last time i stepped into a B&M toy store like Toys R Us. It's been at least 3 years. So buying a toy, whether for my daughter or as a birthday gift, is so simple. Jenn should get more press and traffic because she brings a valuable service to all who read her reviews. Great job Jenn!!! And thanks for introducing me to toys that I didn't even know existed! Way to go Jenn! I'm so glad to see your name and blog getting out there. I'm a serious toy shopper.... I LOVE toys and I want my money's worth. Too often I have been sucked into buying something that seems cool at the time, but never, ever gets played with. We still have a building set in the box that has never been put together. Which is odd, since my son loves building sets. The problem was that it was a brand I didn't know and I didn't do my research. If I had been a savvy consumer, I wouldn't have wasted my money. I wish more companies would take a look at sites like toysaretools and get their products out there in the hands of real live kids (and their cool parents) so that the rest of us know what we are getting into. I love the convenience of online shopping but often stray away from it if I don't know what I'm getting into. I need a place that I trust to go to and have all of my research in one place. That is where my money is going to go. Andy, I love serious toy shoppers! Serious toy shoppers challenge me to be really mindful! Thank you for the vote of confidence and if this helps, I also have had many "learning experiences." Like you and Linda, I love shopping online but sometimes when there is not enough information, I find that I am spending a LOT of time seeking it out, even cross-referencing different sites before buying it at the cheapest price. That is when shopping online is no longer "convenient" and "cheaper" because time is money too. Hope you will open your box someday. I am sure you can find a use for it. For one building set that disappointed us, we decided to make it into permanent art instead. Use Aleene's Original Tacky Glue! It's super duper strong! Thank you so much for these kind words! I am so happy you find the reviews reliable. I am working hard to bring more reviews and stories more often. Thanks for thinking of this site as a place for educational toys. Hope you will also consider it as a good place for one of my favorite categories: Social Scene Helper. In the grown-up world, we still use our own "toys" as icebreakers (new bag, new smartphone, new apps, new shoes). Kids should get a break too. Thanks again for your insight!!!! I will keep digging to find the good stuff! Oh, those beyblades!! He has like 20 of them! How did I let it get that far? Today, he showed me a demonstration of a beyblade spinning using an iPad app called Uzu. I like to think of Uzu as math with lights. I loved how he made this connection all on his own. And thanks for mentioning Squishy Circuits. The simplicity of these playdough-based circuits is a huge advancement in science play/education! The people of Minnesota are amazing. So many creative things happening there. Whisperphone and Mindware are also in Minnesota. What's in the water in Minnesota? Thank you for your thoughts. It's good to know you have never heard of some of these toys and games. I hope you will continue to find it useful. If I ever start to bore you, you are welcome to drop me a line anytime and say what my five year old says. "BOR-ING!" Those kids are tough customers. Thank you for telling me about listmania. I haven't used that in a long time. I will look it up. I am glad to hear that you have less "duds." I still get them. The last one was 2 weeks ago. And thanks for watching the videos. Number 1 Son and I are playing a game right now that had a lot of directions and so we just watched a video of it being played. No words, no teaching and we just got it! And that was the end of it. I really love it when the child watches the video too. Now some companies like ThinkFun have QR codes on the games and so on the first day of play, a parent can scan the code and play a video on their smartphone instantly. No more fussy direction-reading in front of eager and anxious children ready to play play play!!! I hate reading directions! Ohmigosh, thank you for saying the word "fun." I almost forgot about that! What could be more important.? If it isn't fun, we probably aren't gaining much anyway, right? Believe it or not, today I found a customer review you wrote on Timberdoodle.com The product happens to be tomorrow's review. You have good taste lady! Like my kid says, "SmartMax is smart." There is a search function at the top of this site on the right hand side. If you don't see what you need, the best thing to do is leave a message on Facebook. There are many reviews here that were requested/suggested by readers (Imaginets, Wind Up Workshop Robots, Lauri Stacker Pegs, even SmartMax , the most recent review was also recommended by a reader. Good luck! Jenn, congrats! Your posts are always so eye-opening and creative. Kids really do learn through play and I think as parents we forget that sometimes. Thanks for inspiring us moms (and toy makers!) to dig deeper with our toys. I, of course, wholeheartedly agree with your mission of using toys as tools. I have founded Squishy Circuits Store on the same principles, under a different catchphrase - "Play, Invent, Learn", and personally believe that this type of learning has made a big difference in my life. As far as Squishy Circuits are concerned, I believe there is no easier way to get involved with electronics, which is why I am, and will continue to be, a strong proponent. As a seller who has had a toy reviewed, I take pride in having Jenn's "endorsement". Not only do I believe that I have a worthwhile product, but an outside, 3rd party reviewer has also put time and effort into testing it. I proudly link to her site from mine. In the future, I will continue to ensure that my products receive external reviews, for my conscience and my customers. Jenn, I just discovered your website (through Brooklyn Special Kids) and I can't wait to read more and start using it. My partner always goes to the big "A" for toy reviews and I feel so frustrated with that because they are so random and they rarely address special needs. I really like your site. So many great toys. The plant kit looks fantastic and I look forward to reading more reviews. It is so helpful to have real reviews from a real mom. I especially like to read reviews that address specific learning challenges. I always feel more justified in buying toys if the have some educational value or can address the special needs we have! Thank Kelly. I certainly forget about learning through play and remember most when I'm actually playing with them! It's so hard to find the time but when I do, I find that it's so worth it to "dig deeper." As an Occupational Therapist I am always picking out toys based on skills that I want to work on in therapy. My own kids are past the age of toys for the most part, but I still shop for toys a lot for therapy. Something I love about the internet is that you can get product reviews. The fact that these reviews are specific to kids with LDs and special needs is ideal. Wow, Dee, is this how you see the site? That's awesome. I wasn't really trying for that - believe it or not but I love being useful to anyone. I think all of us want more for our kids including parents of children who are typically developing - not to make them perfect at everything but to give them a chance to practice other things through play, whether or not you are not so good at it or you are excellent at it. For example, at Yale, dyslexia experts seem to be identifying dyslexia by strengths as well as challenges. Strengths need to be cultivated too. Strengths can make you happy enough to ride out the harder parts of the day and strengths can also help you tackle things that are generally hard for you. With all that aside, I think all of these toys are just better. I'm so happy to be able to share them in this space. Thanks for dropping this note! The reviews are really helpful when I'm trying to find the right toy for my son. The best toys in our home are the ones recommended by Toys are Tools! Your reviews are so much more in depth than someone saying they like it or their kids like it. I have a better idea of how my kids will play with it and how much interaction they need from me before I get it. I also love the "outside the box" ideas you suggest from your kids' experiences. Your reviews are fantastic. I love your blog! Oh, this is a very cool news that the retailers like our thoughtful toy. By the way you have posted a nice toy's picture over here.